"Velkommen til verden Cecilia Linn"
Enda et kort til DT- galleriet! Papir fra MF & Basic Grey. Nå har jeg tittet litt rundt i her hos deg, og jeg er helt stum av beundring!! Guriland så utrolig nydelige kort du lager!! Det ene etter det andre!! Håper det er ok at jeg legger deg til, for jeg kommer gjerne tilbake å ser mer av det du lager! Wow!! This is beautiful. Thank you so much for visiting my blog so I can found yours. Can I link your blog to mine?. I looooove all your creations, they are beautiful, full of details an dlove, wow! OMGoodness Silvia, since you visted our Tag blog, I had to come here to see yours and I am soooooo madly in love with your work! Phew! This is phenomenal - I would LOVE to be able to produce projects of this quality and beauty!! I hope you don't mind but I would love to link my blog to yours - I have to keep coming back!!! Sylvia you are so talented !! Beautiful work Sylvia - I would love to see some of your cards on 2 Sketches 4 You. All of your designs are so beautiful. The use of all the white is so pure & pretty. 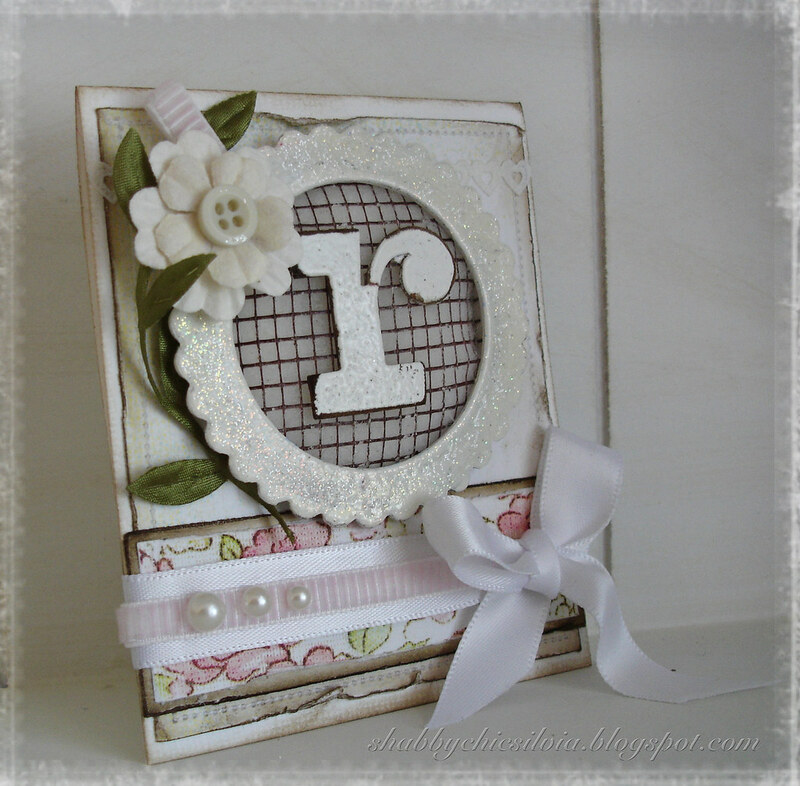 Amazing card - so beautiful!